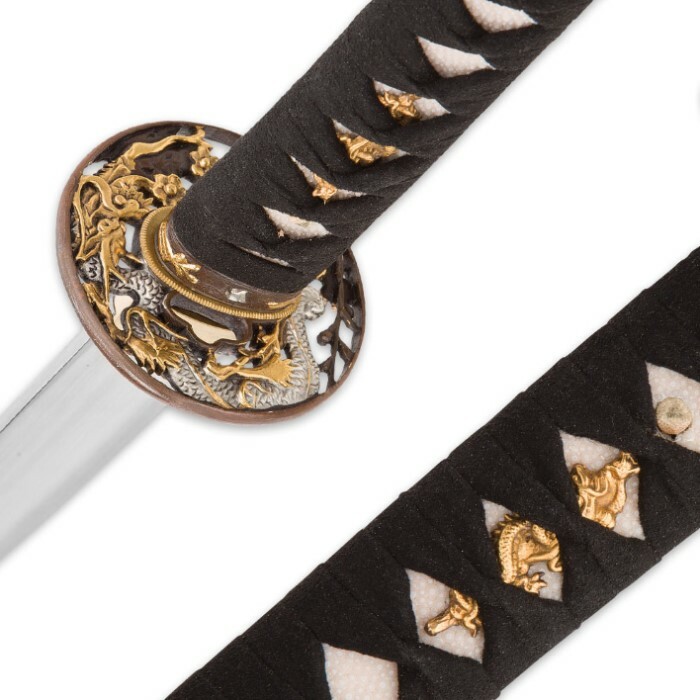 The Kengo Golden Dragon Katana has an unmatched elegance of design that centers around its uniquely designed tsuba and pommel. Both the cast metal pommel and the cast metal tsuba have finely detailed dragon designs in colors of gold, brass and silver, which complement the 29” 5160 high carbon steel blade. The handle has a black cloth wrapping and faux rayskin and the habaki is of brass. The blade is sheathed in a black, textured wooden scabbard. 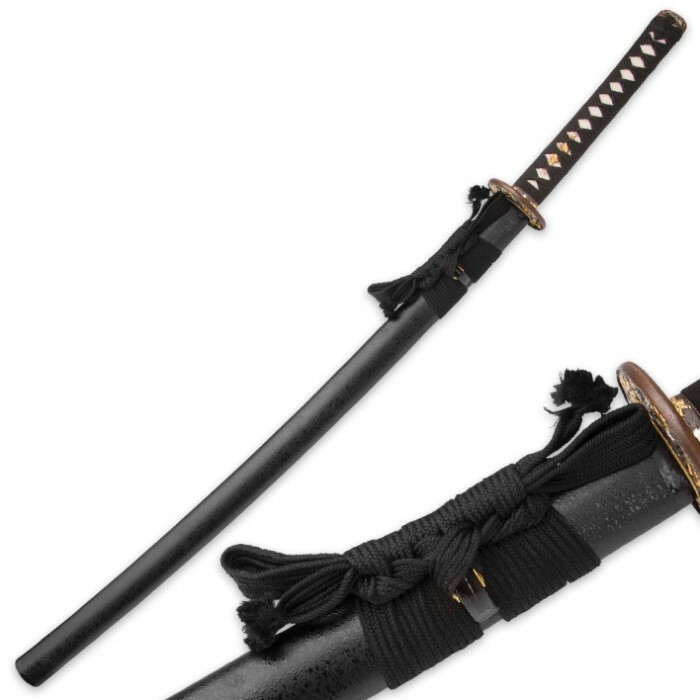 The sword is 40" in overall length and comes in a decorative box. 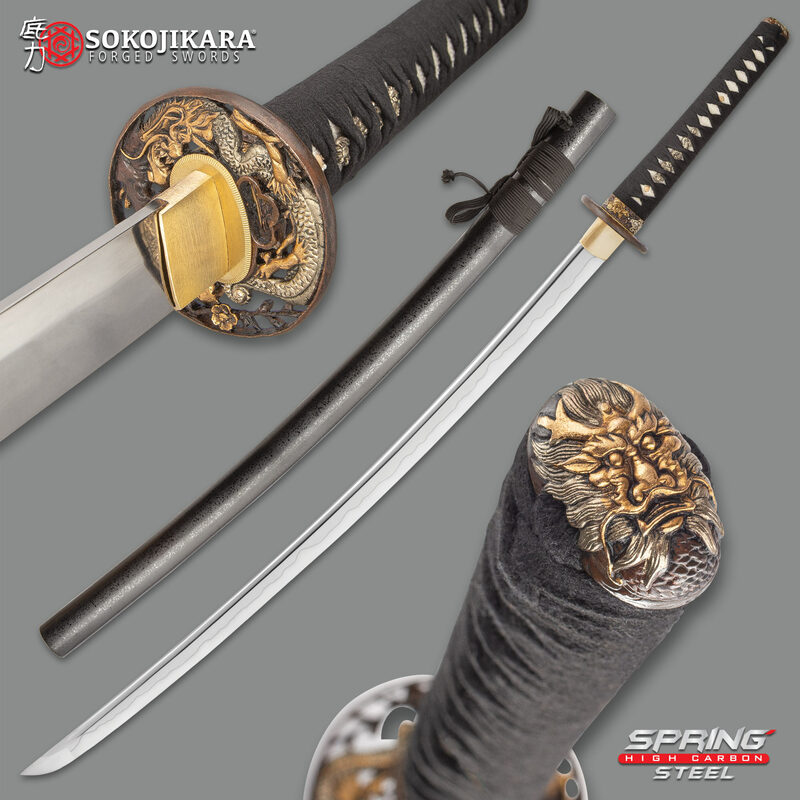 The Kengo Golden Dragon Katana is an excellent display and functional sword in one beautiful package!